It's time for a new release! 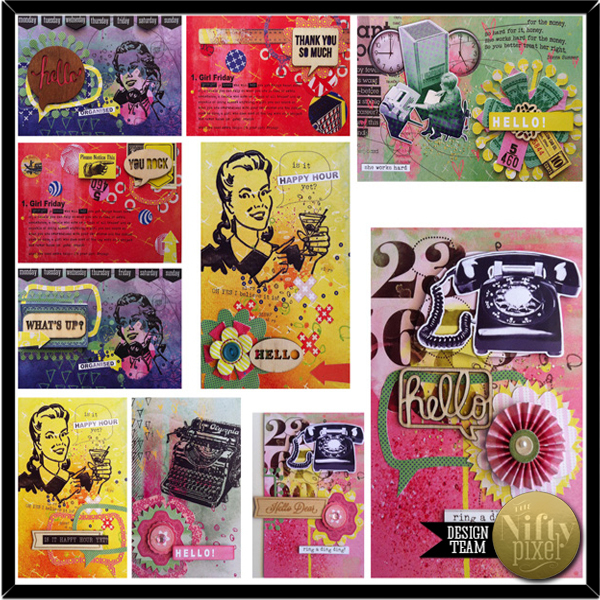 This months kit is a fun & vibrant one called 'Girl Friday'. It pays homage to that office buddy, the Rock of Gibraltar that we all have on our side in the workplace. 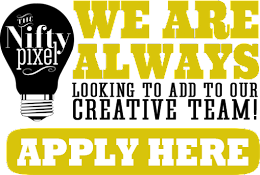 Perfect for any office inspired themes including staff parties, office gatherings, conferences or a page all about an aspiring writer in the family. It also easily translates well to create a boy page or any other non office specific themes. 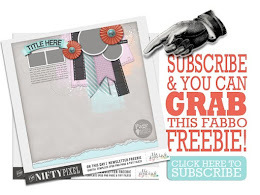 For more ideas check what the Nifty Gals have created using this kit. 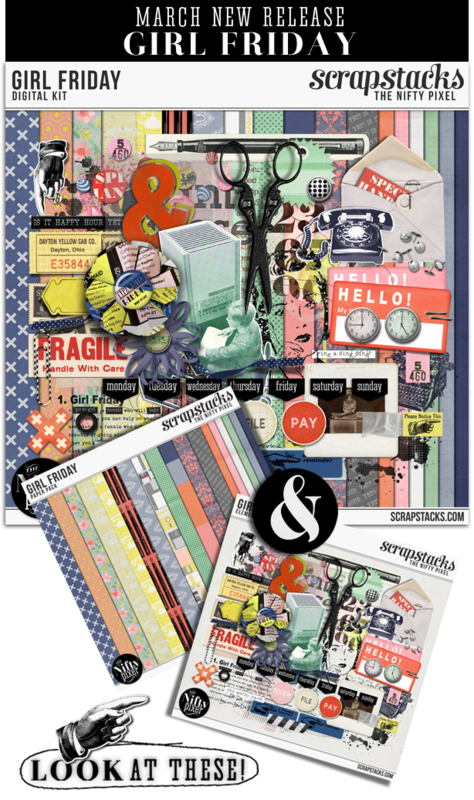 The kit includes 12X Patterned Papers, 6XSolid Papers and 50X Elements. 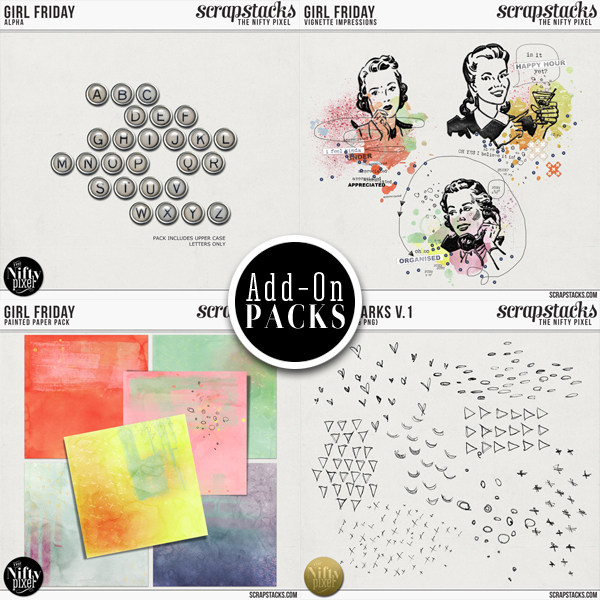 The add-on packs available are a Typewriter Key Alpha, Girl Friday Vignette Impressions, Girl Friday Painted Paper Pack and a hand drawn Makin' Marks Vol.1 Brush Set to add extra texture to your projects! 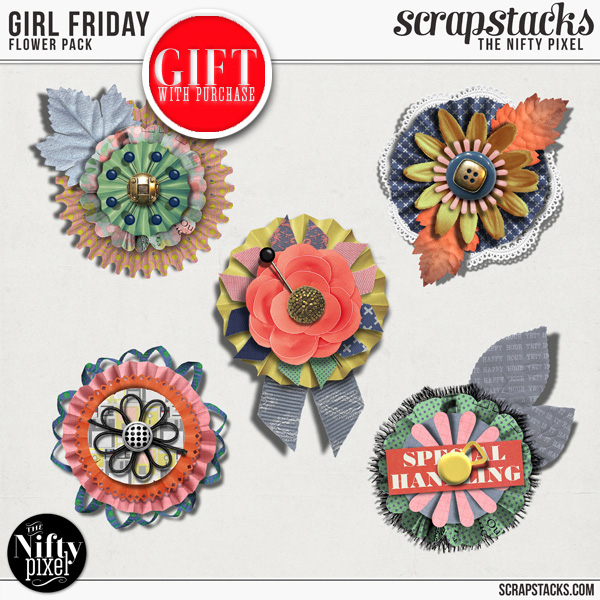 ...annnnnnd if you purchase the 'Girl Friday' kit you will receive this gorgeous pack of Accordian Style Flowers as a special gift with purchase! Gotta be happy with that! 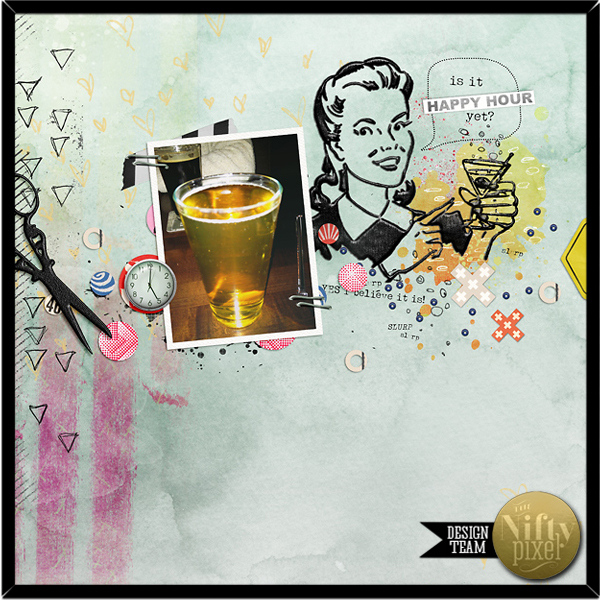 This weeks 'PAGE DRAFTS' digital template pack is now available....YAY! This one is a fantastic pack. 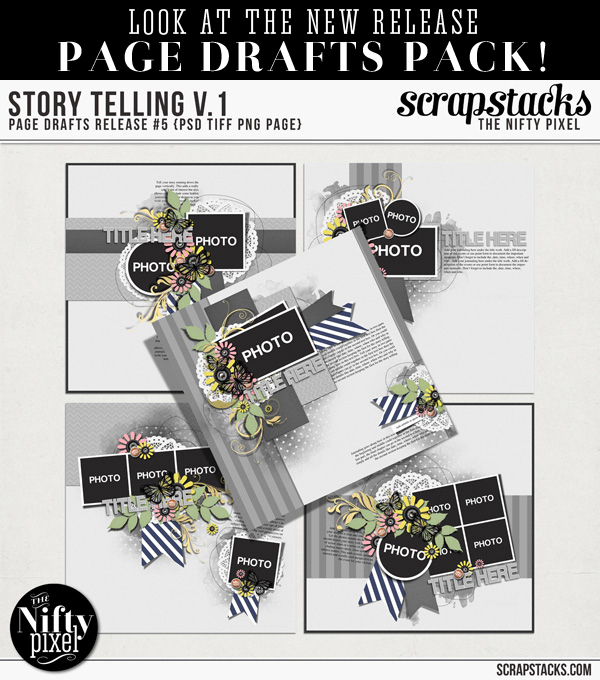 'Story Telling Vol.1' includes 5 gorgeous templates. 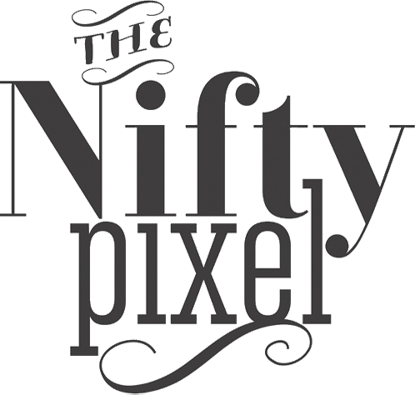 Each one designed to create a minimal page with lots of punch. The tight groupings and stacked layers are perfect for using multiple papers and plenty of elements to really add some flair. We decided to look at some journaling ideas too and suggest some different ways to tell your story whether it be through using quotes, a strong bold title, simply journal it or take people on a visual journey through a series of photos. 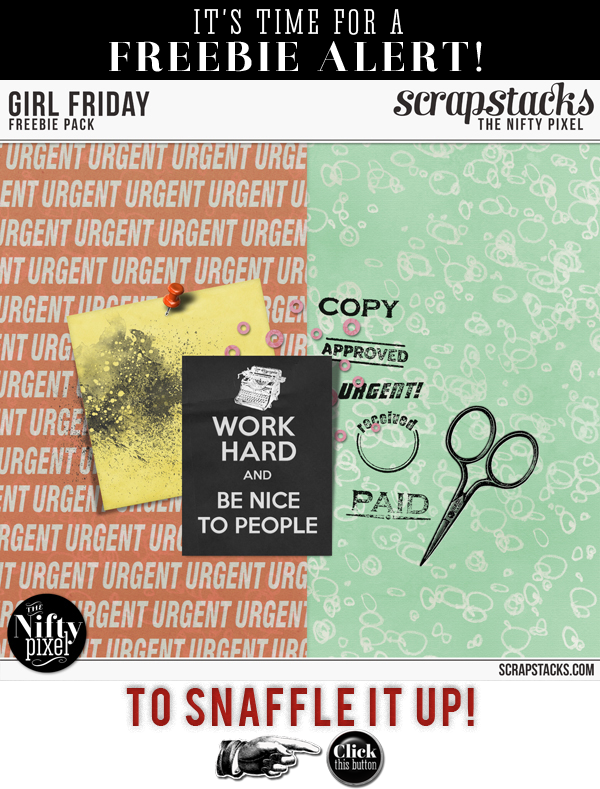 The Scrap Pack deal of $5 for 5 packs over at Scrap Stacks is one deal you surely can't miss. 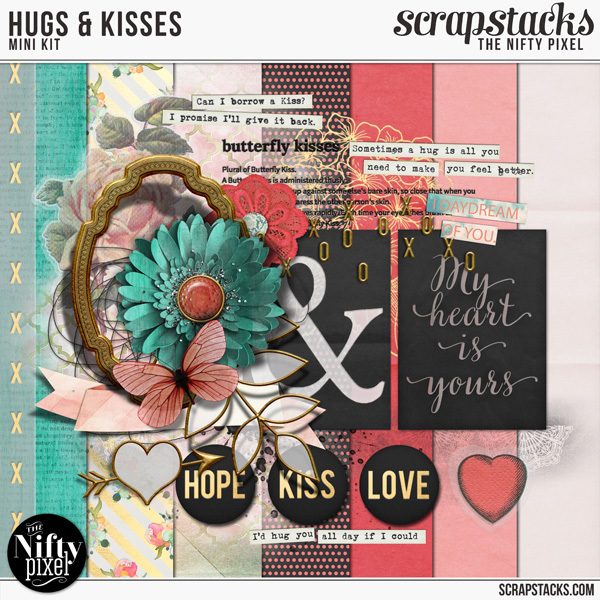 This month I contributed the mini 'Hugs & Kisses' which consists of 8X Patterned Papers and 25X Elements. 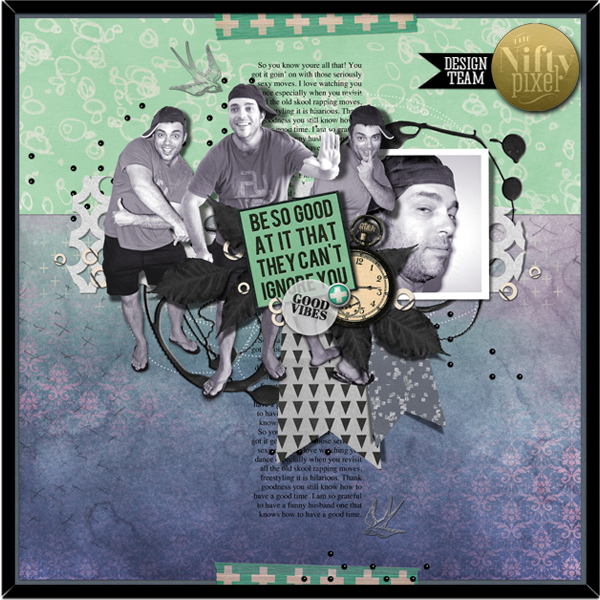 There is also an awesome template pack on offer by Tinic Designs and a second Template pack by Iffy. 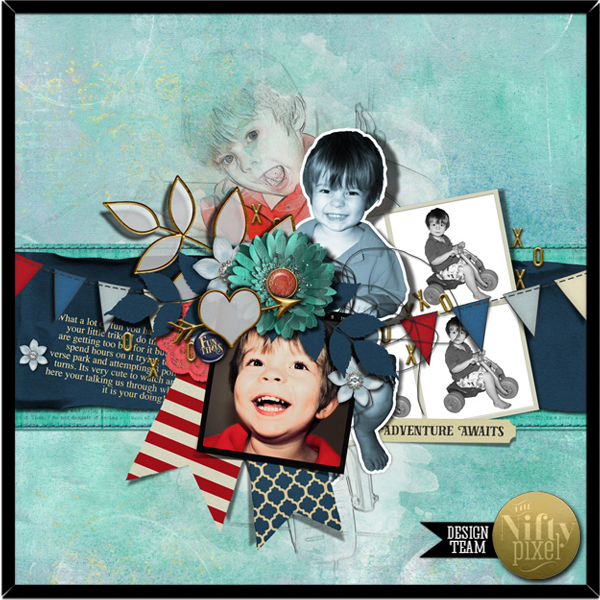 An amazing Nautical Inspired Mini Kit by Meredith Cardell and last but not least Jennifer Labre Designs offers a stunning paper pack of hand painted papers. Thats $20.00 value for only $5 gotta be happy with that! 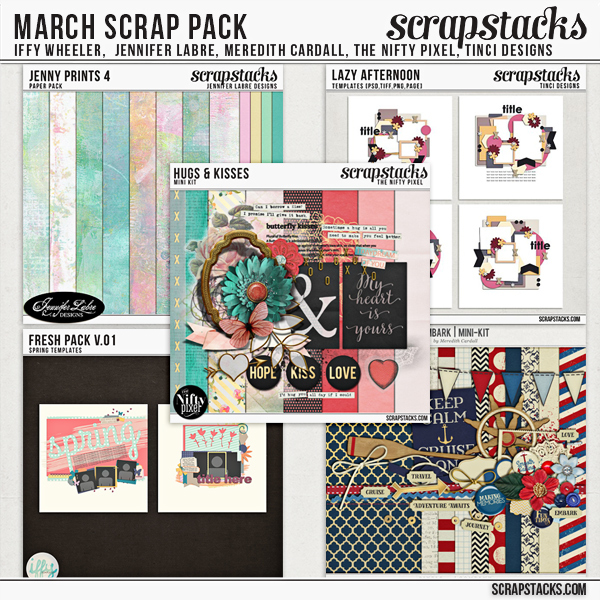 To grab the March Scrap Pack click the image below. 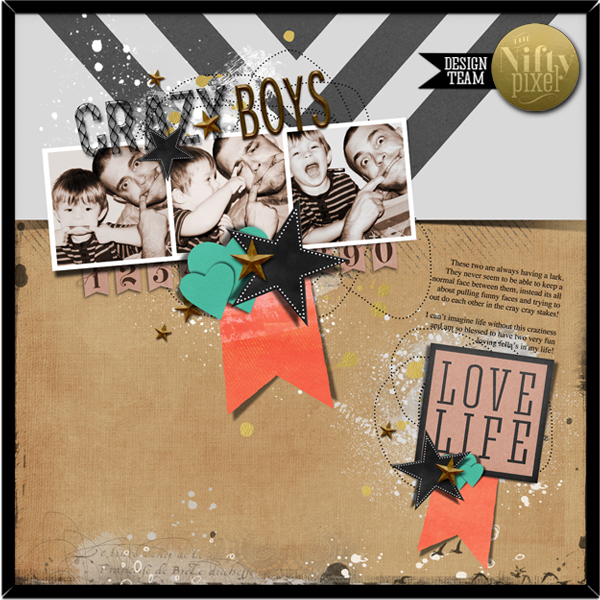 Lastly here is this months freebie especially for you! It coordinates with the 'Girl Friday' Digital Kit. Hope you enjoy it! 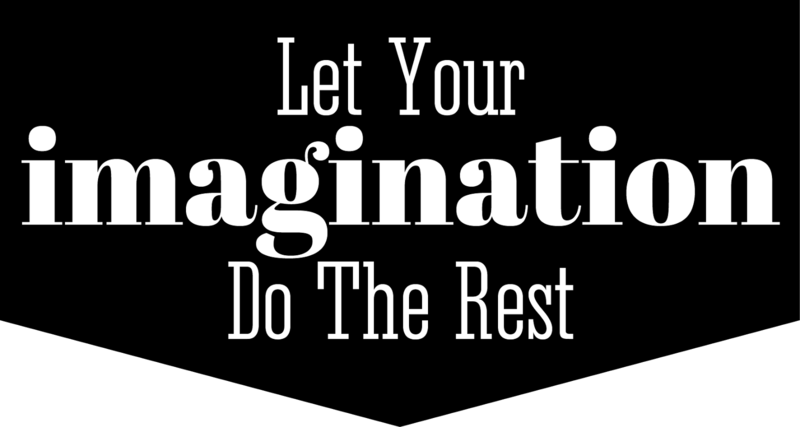 or alternatively stop by our FB Page and share your amazing creations there! OOOh those are great eye candy girls .....lordy you digi gals are clever !! !